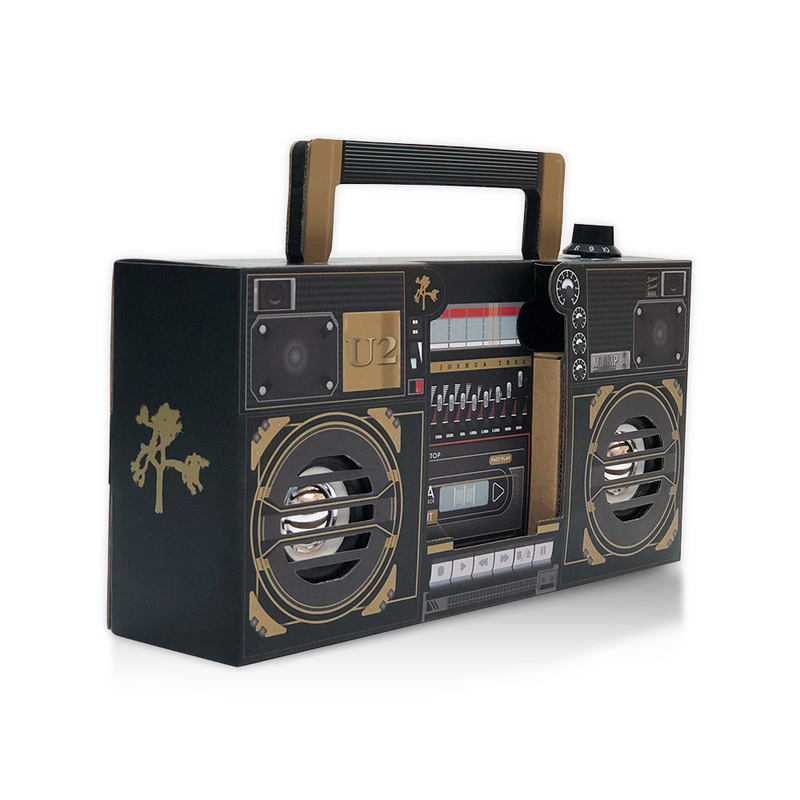 View Larger U2 Joshua Tree Boombox Speaker MiAmp Boombox in Joshua Tree branded packaging. Compatible with most smartphones. Power supply AA battery x3 / Micro USB power supply cable. Playing time 6 hours. Includes user manual in English. CE approved.